The writer and director of The 40-Year-Old Virgin delivers another a hilarious hit comedy! They say that opposites attract. Well, for slacker Ben (Seth Rogen) and career girl Alison (Katherine Heigl), that's certainly the case - at least for one intoxicated evening. Two months and several pregnancy tests later, Ben and Alison go through a hysterically funny, anxious and heartwarming journey that leads to huge laughs in the most outrageous comedy of the year! 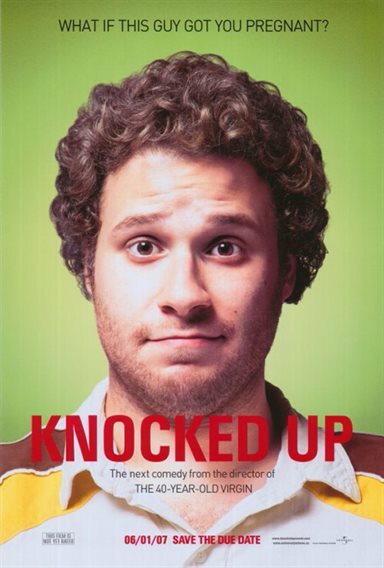 Download Knocked Up in Digital HD from the iTunes store. Knocked Up images are © Universal Pictures. All Rights Reserved.